She was elected as the first Member of Parliament for the Witham Constituency in 2010, and then in 2015. She was educated at a comprehensive school in Watford, & went on to study economics at Keele University before completing her postgraduate studies at the University of Essex. In 2014, she was appointed as Exchequer Secretary to the Treasury. In 2015, she was appointed the Minister for Employment, Work and Pensions. In 2016, she was appointed as Secretary of State for International Development. She is an elected member of the Conservative Party Board. 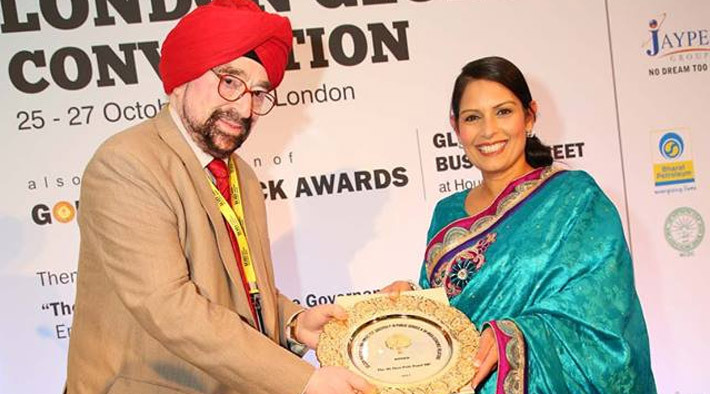 In 2013, she was appointed by the Prime Minister to the Conservative Party Policy Board, and in 2013, was appointed as the first – ever Prime Minister's UK India Diaspora Champion. She has served as Chair of the APPG for Small Shops, Co-Chair of the APPG for Victims and Witnesses of Crime, and Vice-Chair of the Indo-British APPG. She is particularly interested in business, investment and trade. Her business acumen was formed around her own experience in business, assisting her parents who ran a number of small businesses East of England, & to her career in corporate communications for international companies. She has initiated a number of local campaigns aimed at tackling diverse issues including: literacy in schools, improvement in local infrastructure and tackling youth unemployment. She regularly supports local charities.